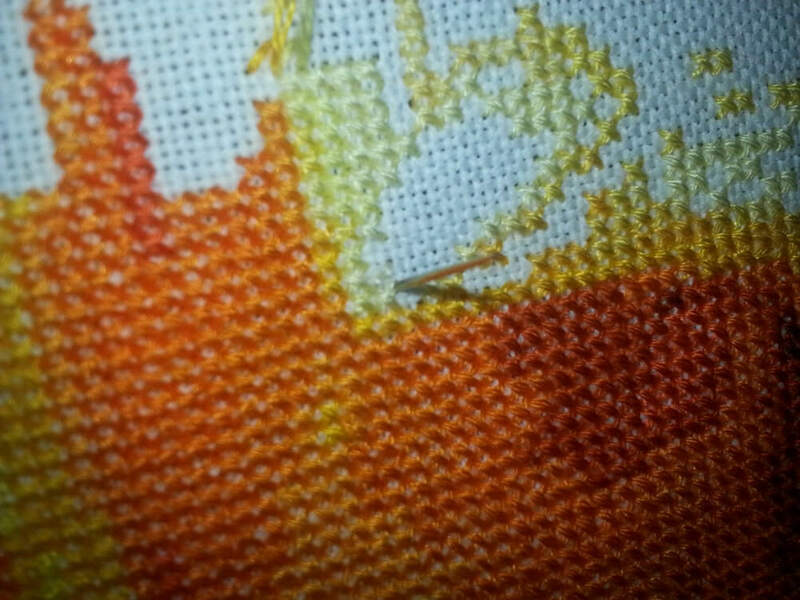 Here is a less bulky variation of the pin stitch or the pin head stitch. This lesson is done on Evenweave, but it’s easy to do this on Aida too. You just take advantage of the middle between the stitches for the first and third steps. This stitch is very versatile and can be used in many situation. It’s the preferred method when you are doing isolated stitches meaning one or two stitches without others around. Here is the canvas front before we begin. 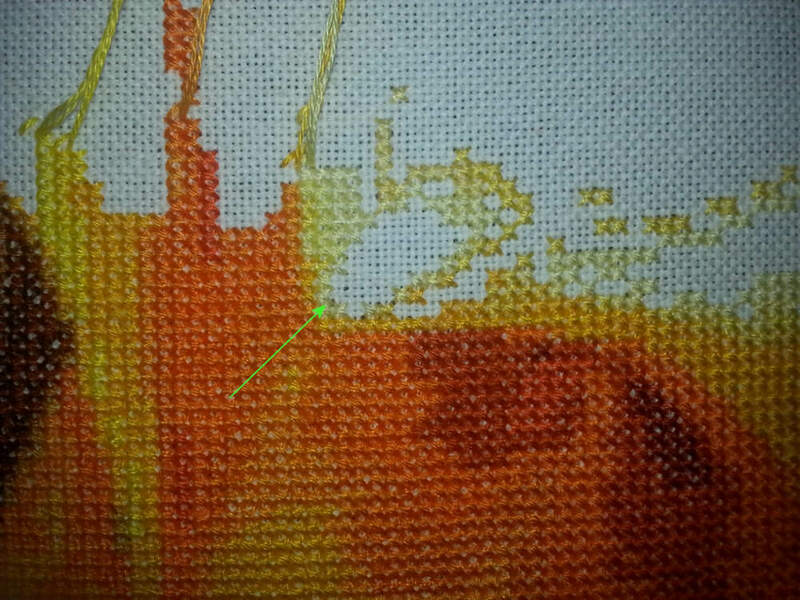 The arrow shows where we are going to place our stitch. Here is the back of our canvas before we begin. The arrow shows where our stitch is going to be. We first bring our needle up through the middle hole of the stitch. 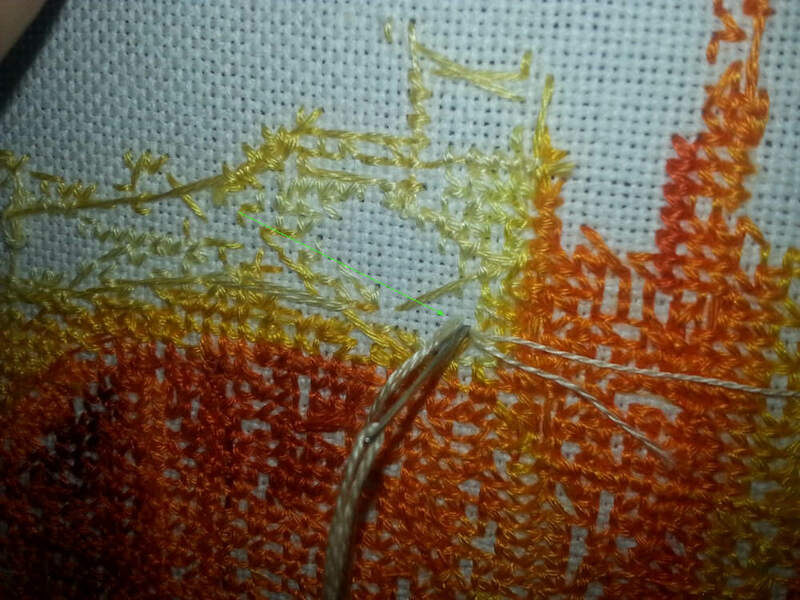 String going through middle of our stitch. 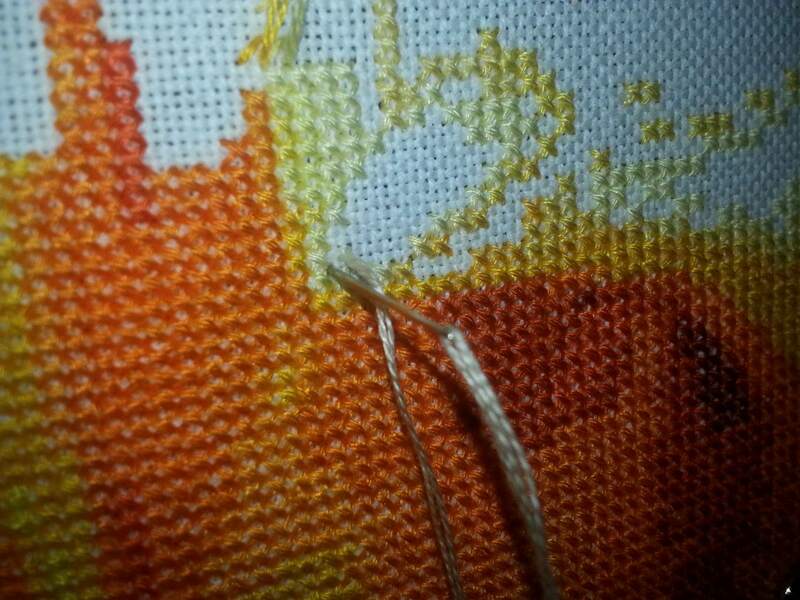 Maintain a small tail on the backside of your work, in other words don’t pull the thread all the way through. 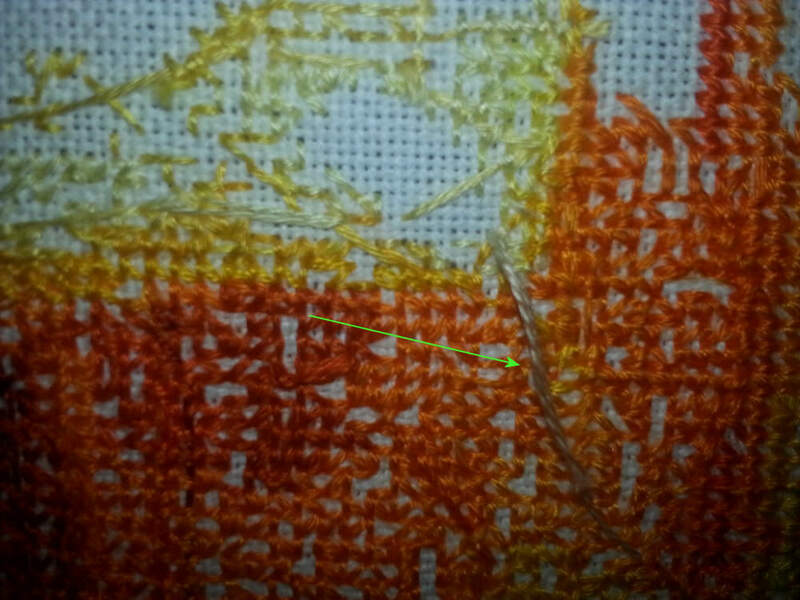 Bring your needle up where you would typically make the first corner of your stitch. For me this is the top right. Hold the tail while your doing this and pull it the tightness you would typically while stitching. Here is the action shot. You bring the thread back up the center of your stitch. This is what locks it into place. Center of stitch for security. Here is the front side of that last image. 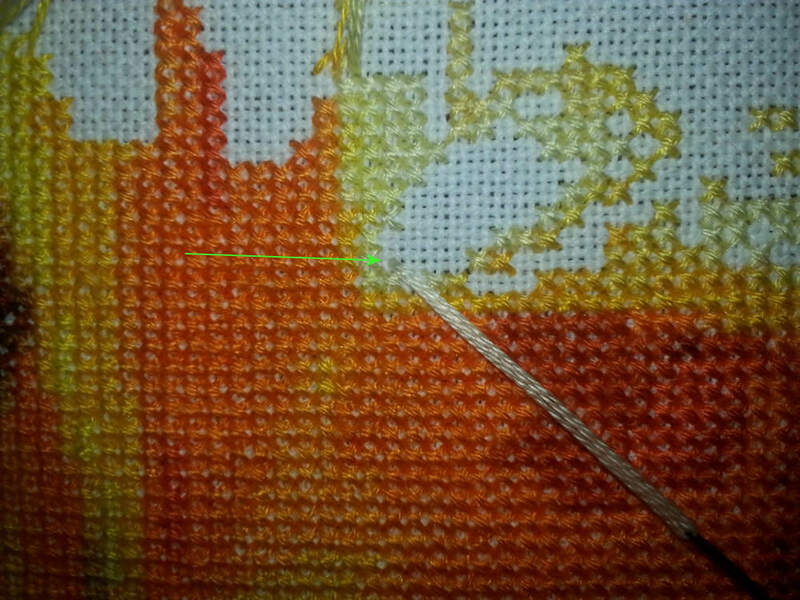 It shows the needle coming up through the middle of the stitch. First Leg of cross complete. 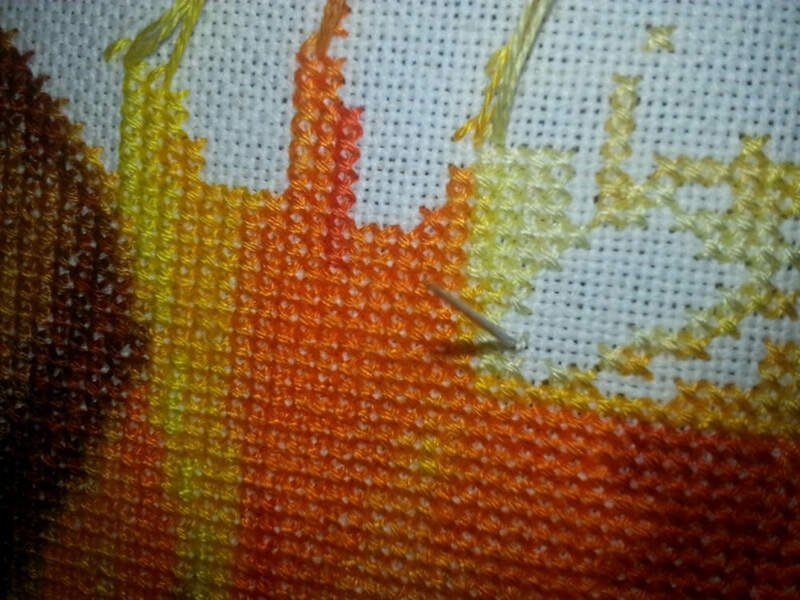 Now you want to complete the first half of your stitch. 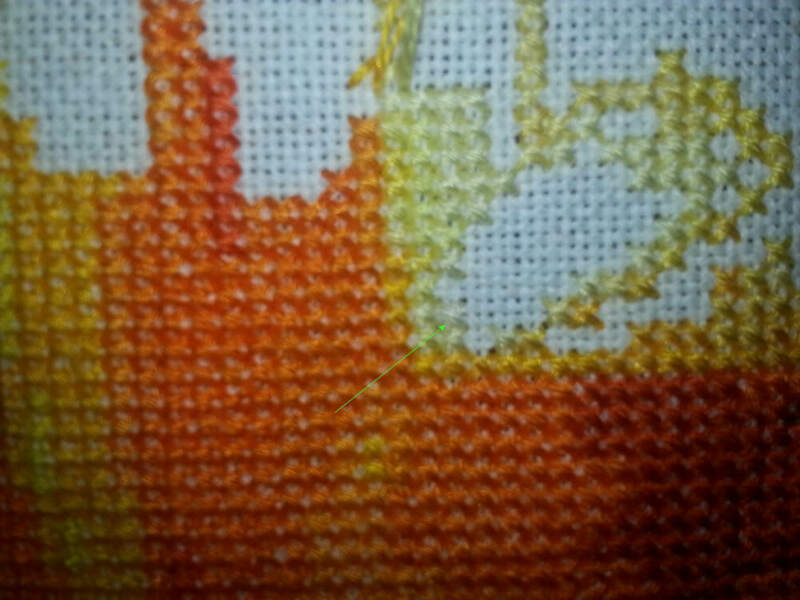 It will have the threads going down in the middle, but that will be covered by the top portion of the stitch. First leg of stitch completion. Now you just want to complete the other leg of the stitch. 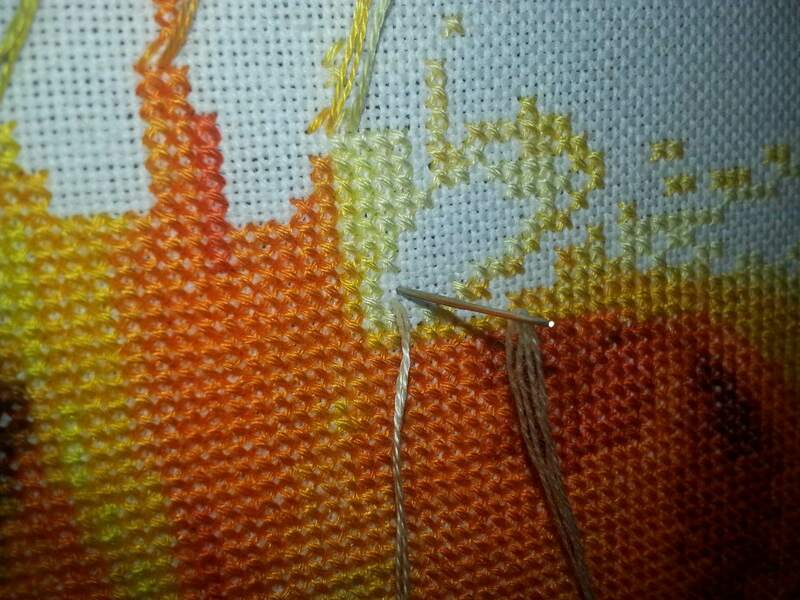 Last leg of the stitch. What it looks like completed. Completed Stitch with the start underneath. There is one last step and that is to trim the tail on the back of your stitching. You are safe to cut it real short and be done or you can leave it a few more stitches and let it go under a few stitches if there are any in the area. This is a very secure way to start your stitches though and some believe it to be superior to other techniques. I personally like it. 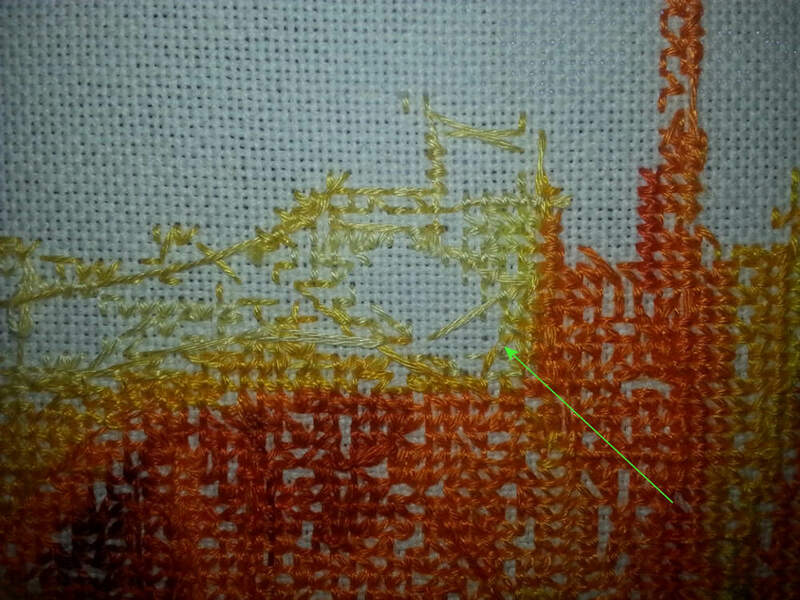 I’m working on a technique to allow you to use this stitch, but remain working on the top of your stitching for use in quilting frames and stitching that isn’t easily turned over. If you have any questions about this technique or any others let me know. I would love to answer your question right here on the lessons page. Let me know what you thought of the pin stitch start tutorial? Do you have any tips to make it better? I would love to hear those as well.